Baldwin County Commissioners are considering a change to the county seal that would replace the Battle Flag of the Confederacy with the seven-star First Confederate National Flag. The commission will further discuss the change at its Sept. 22 work session and its Oct. 6 regular meeting in Bay Minette. 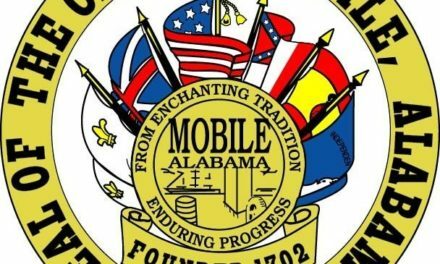 Currently, Baldwin County’s 41-year-old seal contains the flags of Spain, England, France, Alabama, United States and the battle flag. The county’s explanation for the flag says it symbolizes nations with past or present jurisdiction over the county, which resident Sam Crosby said is not accurate. The battle flag was created by General G. T. Beauregard as a way to distinguish the Confederate flag from the United States flag on the battle field. On Tuesday, Crosby told commissioners the Beauregard flag was used as the official flag of the Army of Northern Virginia, while the First National Flag of the Confederacy flew over the state capitol in Montgomery at the time. He said it is important that the county use a historically accurate flag depiction in its official seal, but asked commissioners not to use significant public funds to do so. The Confederacy is represented twice on the county seal, with the flag and a separate depiction of a Confederate soldier in its lower left hand side. 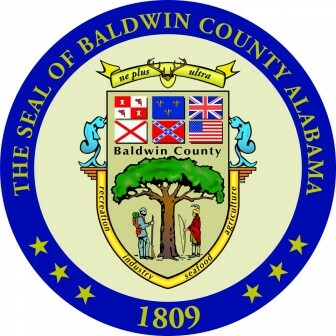 Crosby asked the commission to consider involving the Baldwin County Archives department in any discussions about changes to the official seal. 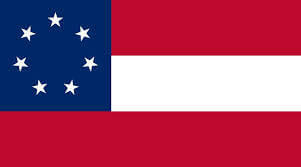 The seven-star First National Flag of the Confederacy. Archives Director Felisha Anderson told commissioners she supports the change. Commissioner Chris Elliott said he does not support removing representations of the Confederate flag, like many southern cities have chosen to do, but does support making sure the county’s representation is historically accurate. 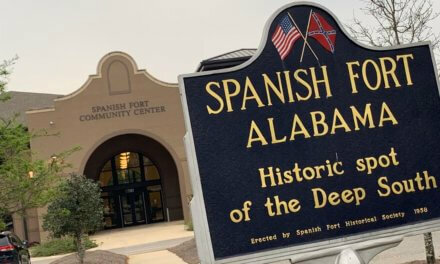 Commissioner Tucker Dorsey, who said his family is steeped in Confederate history, said the change would be a good way to honor the county’s heritage without using a flag he said is often misunderstood. The change makes “good, logical sense” to Dorsey. 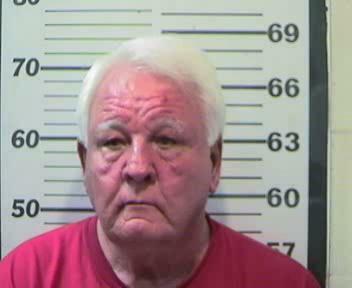 Commissioner Frank Burt suggested acting on the change beginning in December meetings to give the public ample time to respond, but commissioners ultimately decided to discuss it again later this month at the Sept. 22 work session. Interim County Administrator Ron Cink said much of the county’s stationery is created on a computer, so the change would be easily made that way. He also said any supplies the county uses now could be replaced with the new logo when they run out. Signs could be phased in when older signs are damaged or worn by weather. Commission Chairman Skip Gruber asked Crosby to give a public presentation on the flag at a future commission meeting, possibly Oct. 6.